The 2019 Nordstrom Anniversary Sale will be on July 19 through August 4, 2019. Check out the sale items I bought during Early Access here. Early Access starts on July 12th, and the NSale opens to the public on July 20th and will run through August 5th. Get all the tips you need to be prepared for this legendary shopping event by reading the information below. View last year’s NSale catalog. Don’t forget to get your Nordstrom Rewards card so you can access the sale early. When is the 2019 Nordstrom Anniversary Sale? This year’s sale will begin on July 19 through August 4, 2019. Early access will start approximately a week before. Don’t forget! Nordstrom credit and debit cardholders get exclusive early access to thousands of new items at reduced prices. Early Access will be July 12-19. Don’t have a Nordstrom card yet? Click here to apply! 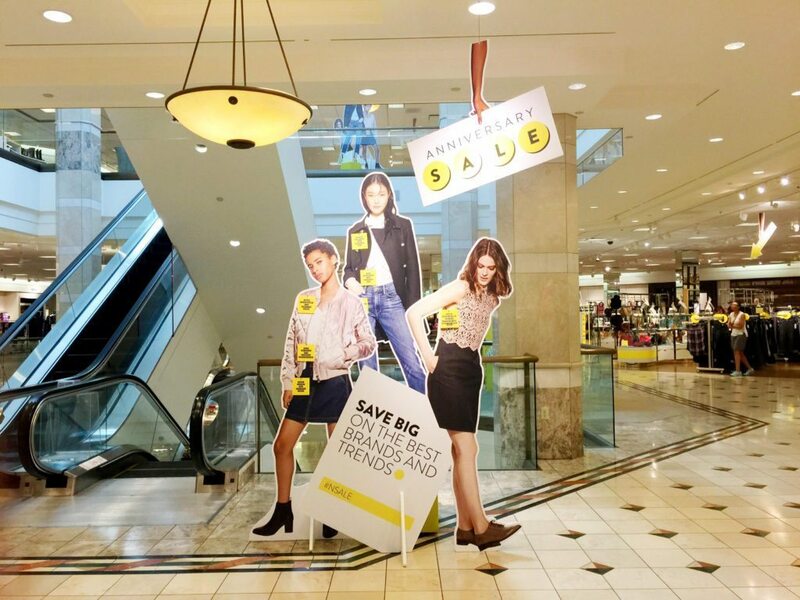 While Nordstrom holds half-yearly sales each spring and fall, the anniversary sale is legendary among Nordstrom customers because they can purchase exciting new fall merchandise at discounted prices before it becomes available to the public! Each year, Nordstrom cardholders get to shop the Anniversary Sale before it opens to the public. During this Pre-Sale, many of the most popular items go out of stock quickly! Apply for a Nordstrom card now to receive Anniversary Sale Early Access (from July 12-19, 2018). Early Access will give you the first chance to snag brand-new arrivals at super-sale prices. You’ll also earn Rewards points while you shop– it’s win/win! Nordstrom Rewards customers earn points on every net purchase made in stores and online at Nordstrom, Nordstrom Rack and HauteLook. 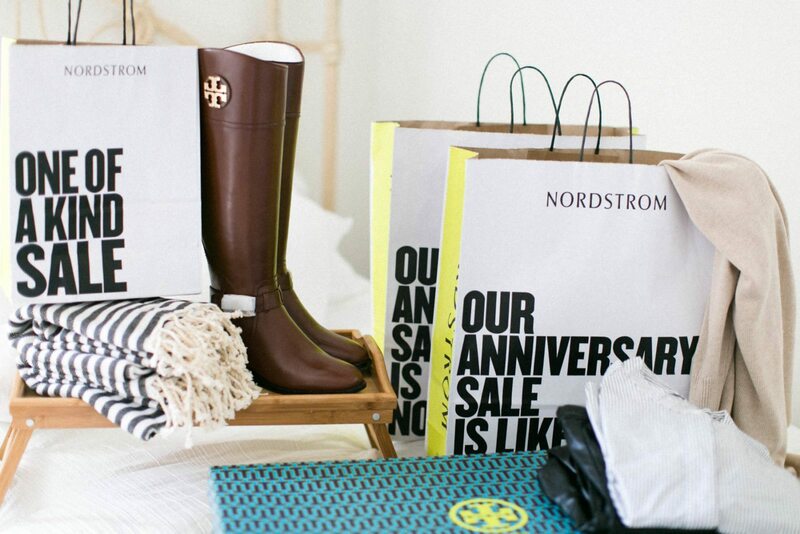 Every 2,000 points gets you a $20 Nordstrom Note to use online or in-stores. Did you know? You can schedule a Personal Triple Points Day during the Nordstrom Anniversary Sale when you plan to make a big purchase, or on a special occasion—like your birthday! Schedule the day in-store with your favorite salesperson, or online during checkout at Nordstrom.com. Getting first access to Anniversary Sale items is a huge perk. Things go out of stock QUICKLY, and sometimes there are exclusive items available specifically during Early Access. Even if you don’t buy anything, it’s nice to have the option to see merchandise before the general public. I pulled an all-nighter to shop Early Access and share my favorite deals with you. Click here for more. 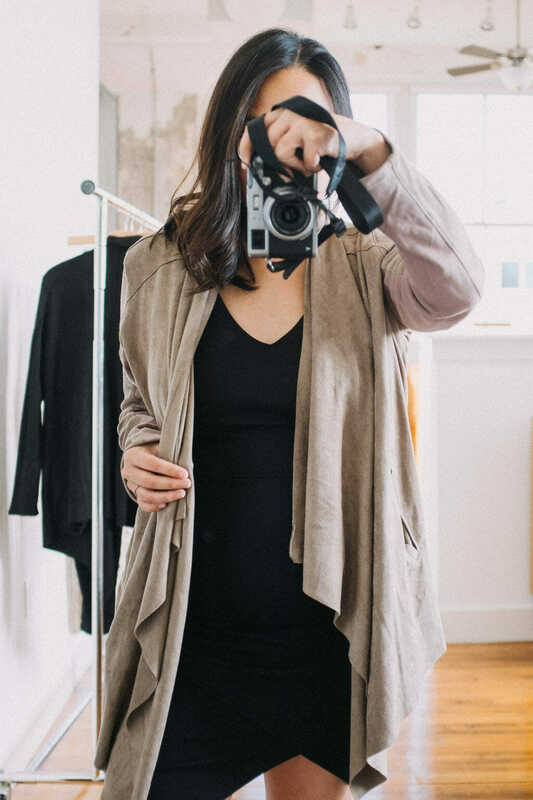 This year, I created a new page to share pictures of how I style my #NSale finds! Click here to check out the latest outfits via mirror selfies. 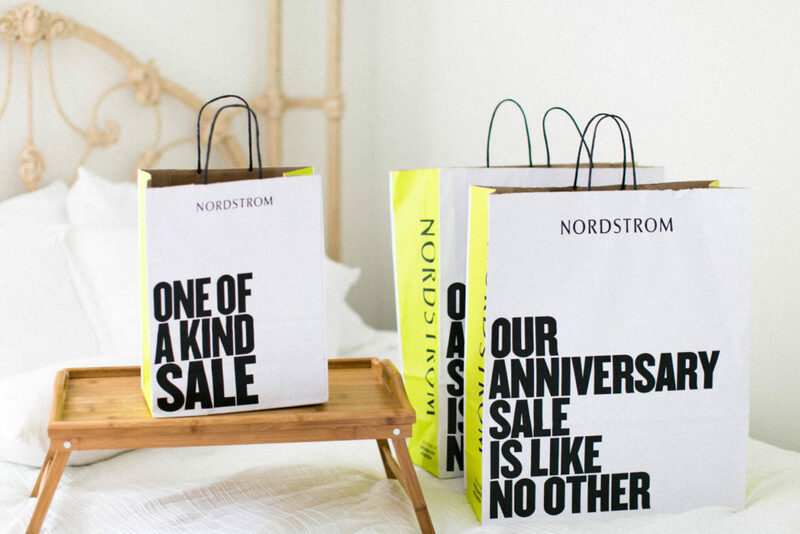 The Nordstrom Anniversary sale doesn’t require a coupon code like other sales. The anniversary sale products will be categorized on the website, displaying both the discounted price as well as how much it will cost full-price after the sale. 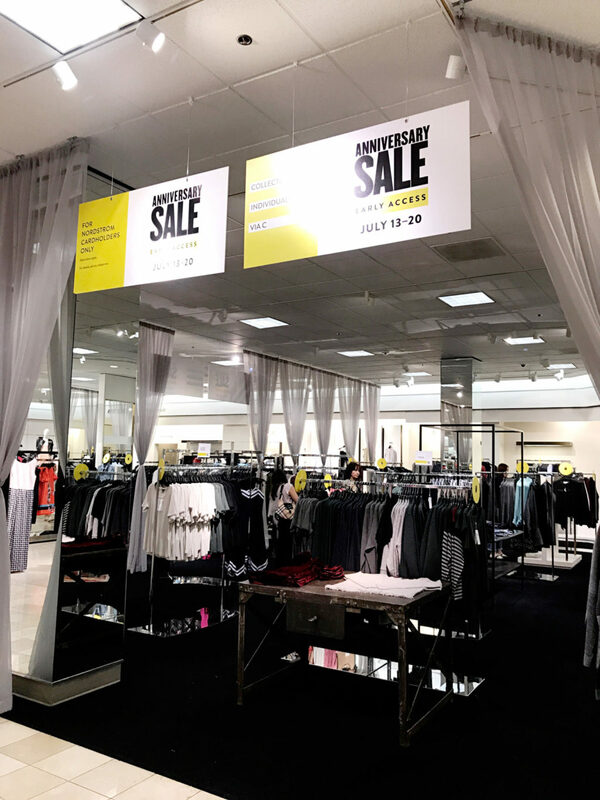 If you visit Nordstrom in-person, anniversary sale items will be separated from the other merchandise by curtained sections. Shop the #NSale like a PRO! I highly recommend purchasing online, and choosing the Store Pickup option to avoid crowds and sifting through everything! Click here to find a Nordstrom store location near you. Don’t even want to leave your car? Choose curbside pick up instead. 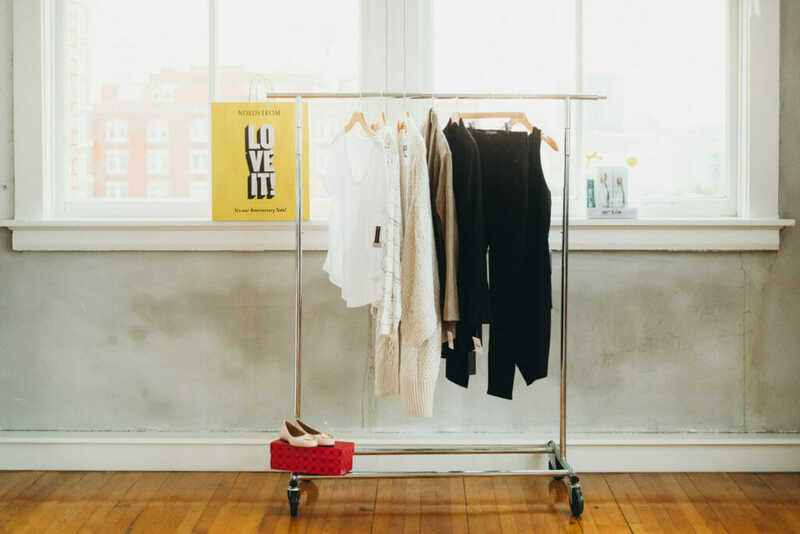 In addition to their buy online, pick up in store, and curbside pickup options, Nordstrom offers affordable expedited shipping options, so you don’t have to wait for your new NSale finds! Best of all? If the items are in-stock from your local store, you can have them delivered to you SAME DAY for only $15. Orders placed by 4pm local time will be delivered by 8pm the same day and orders placed after 4pm will be delivered the following day (even on Saturdays and Sundays). Sometimes I’ll set my local store in the search results, so I can see everything in-stock. Click here to check if same-day delivery is available for your local Nordstrom store. Use Nordstrom’s dynamic filters to find what you’re looking for. Select one of the tabs at the top of any page to begin to narrow your search by department or brand name. You can then use the filter dropdown menus above the search results. Select as many options as you’d like to target your search, but remember that choosing more options will yield fewer results. I sometimes start on the Women’s Clothing landing page, and narrow results from there. Schedule a Personal Triple Points Day during the Nordstrom Anniversary Sale by selecting the option online during Checkout at Nordstrom.com. You’ll earn a $20 Note for every $334 you spend on your Personal Triple Points Day! It might seem silly to be shopping for Fall right now, but trust me– it’s worth it! Last year, I bought an amazing pair of wedge booties that I wore nearly every day during Fall/Winter. Want More Nordstrom Anniversary Sale Info? Subscribe for Nordstrom Anniversary Updates to receive new posts in your inbox, including favorite picks from this year and outfit of the day photos showcasing NSale items.